The verdict may have been right, but it was unjust. And, yes, race was a factor. 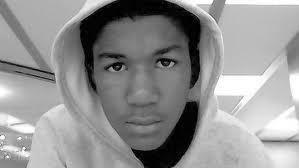 You know by now that George Zimmerman was acquitted of charges for his shooting of 17-year-old Travon Martin. Your Facebook feeds, if they're anything like mine, were filled with the news. So you know all about it. You know how I feel about the incident: I'm appalled Florida's laws (and Pennsylvania's!) allow people to go free on grounds of self defense for incidents they, like Zimmerman, provoked. "The logic incentivizes an armed citizenry where the beneficiary of justice is simply the last man standing," wrote Ta-Nehisi Coates. "Your side of the story is irrelevant if you are dead." I think the jury technically got the verdict right, according to Florida self-defense laws, which say you can use deadly force against someone if you "reasonably" believe you are in "imminent danger of death or great bodily harm," even if you provoked the conflict. Zimmerman was the only witness to the shooting and fight. The state could never have proved that Zimmerman didn't feel like his life was at stake when he shot Martin. That doesn't mean the verdict was just. And it doesn't mean another jury (say, of African-American women) wouldn't have come up with a different conclusion, or that if Zimmerman's victim were white, the outcome wouldn't have been different. Race was a factor, both in Zimmerman's targeting of Martin, and in the verdict. Even if you (naively) don't think so in the Zimmerman shooting, you can't argue with the broader data: "a finding of 'justifiable homicide is much more common in the case of a white-on-black killing than it is in any other sort of murder involving a black person." And, I really, really don't get the lionization of George Zimmerman. At all. You may agree with the verdict. You may like strong self-defense laws. But how could you like the self-important, aggressive, idiotic, and deadly Zimmerman? Seems his actions are a strong argument against everything you believe, that the weak have the right defend themselves from the strong and the malicious.